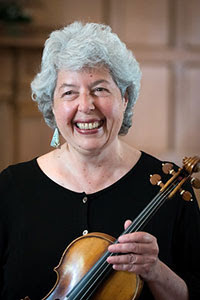 Barbara Jaffe, Music Director, violin & viola. Obtained Masters from the Eastman School of Music under Donald Weilerstein. Formerly with the Shelbourne Quartet in Great Falls, MT and Bradley University Quartet in Peoria, IL. Currently with the Opera Delaware Orchestra, the Elysian Camerata, Arioso and Fairmount String Quartets. 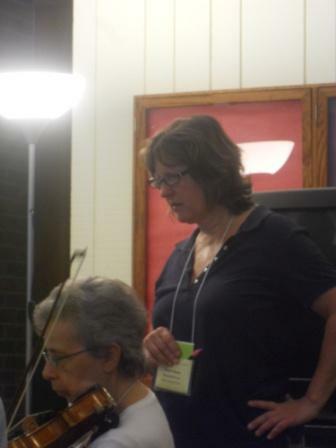 Teaches at her home studio and at Haverford/Bryn Mawr Colleges. Elizabeth Acker, piano, holds a BFA from York University and is a performer, accompanist, teacher and coach. In Toronto her engagements span classical and contemporary orchestral and chamber music, musical theatre, contemporary music and jazz - which she has been known to treat us to at the end of Fun Night. Gael Abbasi, cello. Studied at Indiana University, Bloomington,Indiana. Teachers include Orlando Cole and Janos Starker. Studied chamber music with the Borodin Trio. 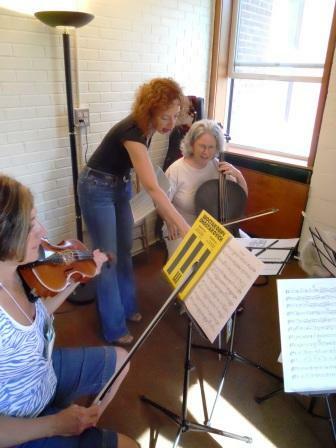 Founding member of Strings for Schools, Inc., String Variations, the Independence Duo and the Trio International. Performs in chamber groups in the Philadelphia area. She also plays the viola. 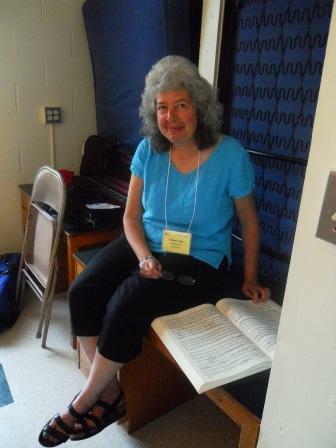 Jill Collura, bassoon, our bassonist in week 3. New York native from Rockland County, Jill was fascinated with the woodwind family, and thoroughly explored each instrument: clarinet, bass clarinet, bassoon, oboe and saxophone, choosing the bassoon in her senior year. She earned her Bachelor's of Music Degree from the SUNY at Purchase College Music Conservatory under the tutelage of bassoonist Donald MacCourt of the New York City Ballet. Jill is a free-lance musician on bassoon, flute, clarinet and saxophone throughout the tri-state area, has performed in numerous ensembles, including Broadway shows, the Orchestra of St. Luke’s in Caramoor, New York Pops Orchestra, Queens Symphony, Artemis Chamber Ensemble, The Putnam Chorale, and The Chappaqua Orchestra. Peter Ferris, oboe, was born in Buffalo N.Y. Early oboe studies with John Mack of the Cleveland Orchestra. Bachelor of Music Performance from Bowling Green State Univ. (Ohio) 1972. Oboe studies with Cleon Chase and Martin Woltman. Graduate studies at Temple University. Oboe studies with Louis Rosenblatt of the Philadelphia Orchestra. Freelance oboist in Philadelphia 1973-81. California Music Festival 1978 studies with Stephen Adelstein. In 1981 wins audition for Co-Principal Oboe Orquesta Sinfonica de Venezuela. Joins Orquesta Municipal de Caracas in 1983 as Assistant Principal Oboe and English Horn. In 1989 is named Principal oboe to the present. In 2015 is invited by the Orquesta Sinfonica del Estado de Mexico to participate in a 9 week tour of the U.S. as principal oboe. June Gunter, woodwinds & early music.Graduate of Oberlin. Studied at the Baroque Performance Institute. Formerly flutist with the New Jersey State Opera Orchestra. Performs and teaches in North Carolina. Awarded "excellence in the teaching of music" by the North Carolina School of the Arts. Has toured with Opera Carolina. Currently Chair of Fine Arts Department at The O'Neal School. Gerall Hieser, cello. Graduate of Temple University and the Mason Gross School of the Arts at Rutgers University. Member of chamber ensembles in Pennsylvania, New Jersey, and New York, including the Gabriel Ensemble and the Madison String Quartet. David Iskowitz, piano, is a graduate of the Peabody Conservatory. He directs a school for music and art, the Westerhoff School, in Metuchen, New Jersey, and also teaches piano and chamber music, and accompanies for the music department at Drew University in Madison, NJ. Performances throughout the New York metropolitan area, often in collaboration with instrumentalists and singers. Louise Jaffe, viola. Received a Bachelor's in Viola from the Philadelphia College of the Performing Arts and a Master's in Viola Performance from the Eastman School of Music where she studied viola with Heidi Castleman, and chamber music with the Cleveland String Quartet. She has performed in many chamber recitals in the US and Switzerland, and is a member of several chamber groups and orchestras in Pennsylvania. She maintains an active teaching studio. Lee Ann Newland, horn, graduated as a French Horn performance major from Manhattan School of Music, and received her Masters in Music from Rutgers University. Following this, she won a place in the horn section of the Delaware Symphony Orchestra. Ms Newland’s career has also taken her to perform with the Metropolitan Opera Orchestra, American Ballet Theatre Orchestra, American Symphony Orchestra, and many notable chamber ensembles based in the NY area. Ms. Newland is the principal horn of Gramercy Brass Orchestra, has appeared with numerous Broadway musicals, and is a member of the famed Papermill Playhouse Orchestra in Millburn, NJ. She is in demand as a private horn coach, and serves on the faculty of Teaneck Public Schools, Ridgewood Community School and Summer Music, Caldwell College, and is a co-music director of Gramercy Brass Band Camp. She will be at VMAC all three weeks. Richard Shapiro, clarinet, was one of the VMAC faculty in 2012. He is an internationally active chamber and orchestral musician and has performed with numerous groups including the New York Chamber Orchestra, the New Jersey Symphony, Queens Symphony, and the Opera Orchestra of New York. Mr. Shapiro has toured the United States and Europe with the New York City Opera Orchestra, Opera Northeast, Paragon Ragtime Orchestra, and in Japan and Hong Kong with members of the New York Philharmonic and Metropolitan Opera Orchestras. Mr. Shapiro has served as principal clarinetist of the Philharmonic Orchestra of Merida, Venezuela, New York Choral Society, Little Orchestra of New York, Adirondack Festival of American Music, Lake George Opera Company and Lehigh Valley Chamber Orchestra. As a chamber musician, Mr. Shapiro was a founding member of the award winning Manhattan Woodwind Quintet and served on the faculty of the Apple Hill Festival. In addition, Mr. Shapiro has regularly been heard in the pit orchestras of numerous Broadway musicals including Miss Saigon, Beauty and the Beast, Les Miserables, Phantom of the Opera, Fiddler on the Roof, Annie Get Your Gun and the Lion King. Mr. Shapiro received his BM and MM from the Manhattan School of Music and is an active teacher, serving on the faculty of the Kent Place and Pingry Schools in New Jersey. 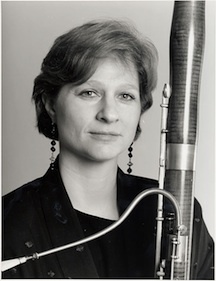 Susan Shaw, bassoon, is the Principal Bassoonist with the Allentown Symphony and the Pennsylvania Sinfonia in the Lehigh Valley andwith the New York Gilbert and Sullivan Players. 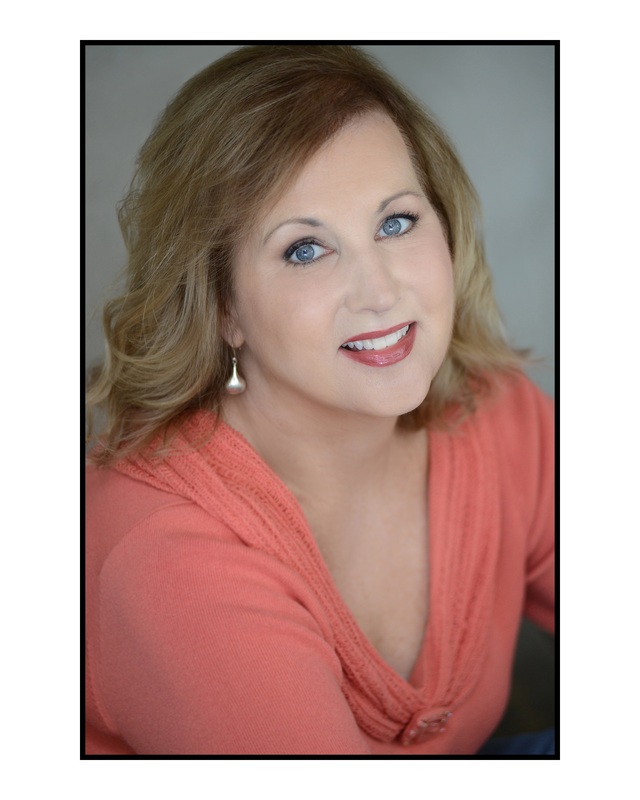 She has also performed in the Broadway pit orchestras for “Carousel,” “King and I,” and “Miss Saigon.” Some other longterm affiliations include the Little Orchestra Society, the Lake George Opera, and the Lehigh Valley Chamber Orchestra. Along with an active performing career, Ms. Shaw directs a band program in the public school system of White Plains, New York. 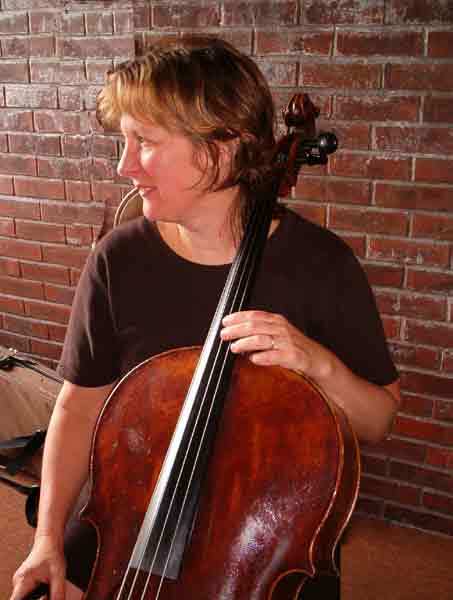 Susan Shaw is a graduate of the Manhattan School of Music. Major studies have been with Stephen Maxym, of the Metropolitan Opera, and Jane Taylor, of the Dorian Quintet. We are very happy that she is able to come for weeks 1 and 2 this summer. Andreia Torain teaches all levels of violin, plus beginner viola, to both children and adults at the Settlement Music School in Philadelphia, where she also serves as chamber music coach and teaches Suzuki group classes. 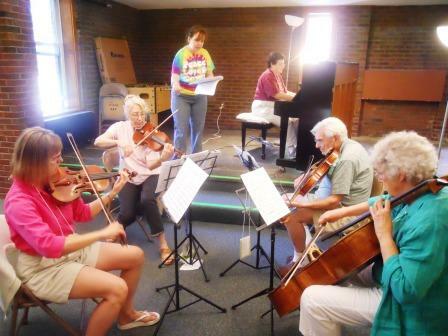 When not teaching or coordinating the Suzuki violin program for the school’s six branches, she can be found freelancing with chamber ensembles (Fairmount. e.g.) and orchestras (Philadelphia Classical Symphony, Delaware Symphony, Riverside Symphonia, and the Delaware Valley Philharmonic among others). 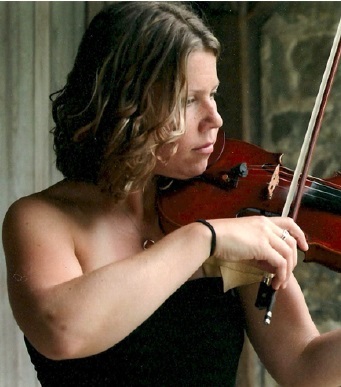 Andreia has a Bachelor of Music in Music Performance from Ithaca College and a Master of Music in String Pedagogy from Temple University. .
Dana Weiderhold, violin. Dana Weiderhold received her B.M in violin performance from West Chester University, PA and her M.M. from the University of Maryland, College Park, MD in 2008. 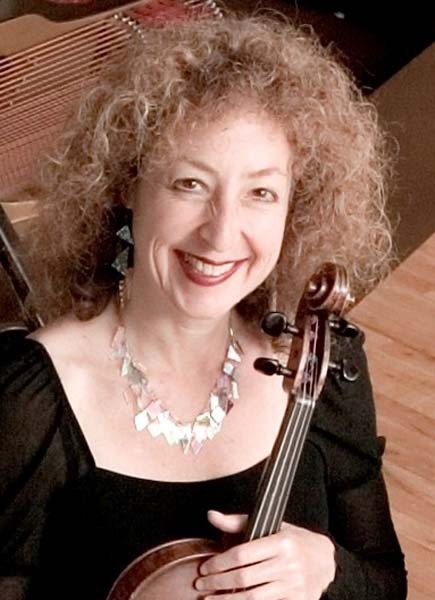 Ms. Weiderhold was concertmaster of the West Chester University Symphony Orchestra in addition to the WCU Chamber Orchestra and has appeared as a featured soloist with both ensembles as well as the Newark Symphony Orchestra. In May of 2008, Dana represented UMD as an ambassador to Venezuela providing private lessons and orchestral coaching to the students of “El Sistema”. She has most recently been accepted into the Doctorate program at University of Maryland. 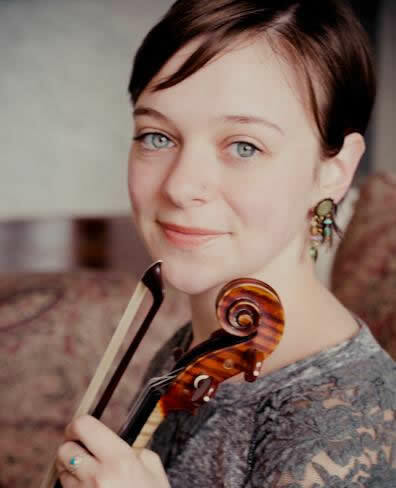 Elizabeth (Liz) Wright, violin, of Bethlehem, PA completed her Bachelors at University of Michigan and her Masters at Manhattan School of Music. 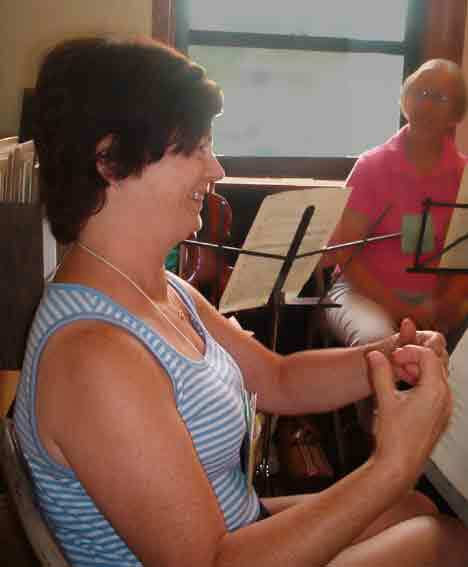 She held Principal and Concertmaster positions at both schools. Her primary teachers were Aaron Berofsky, Andrew Jennings, and Laurie Smukler. She has held positions in the Lansing and Midland Symphony Orchestras (MI) and has also performed with the Toledo Symphony (OH). Her string quartet is the two-time winner of the Lillian Fuchs Chamber Music Competition. She has held fellowships at Colorado College Summer Music Festival and National Repertory Orchestra. 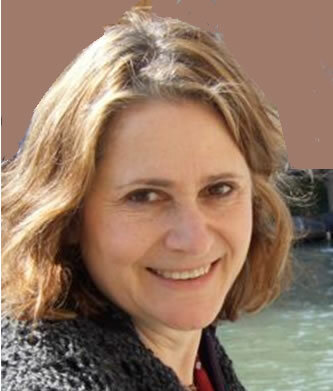 Liz is a deep believer in education and teaches students of all ages in New York City. The faculty coach us primarily from within the group, while playing with us.